Views of the UK modern rail scene taken during 2017. Photos are listed in loco/unit number. 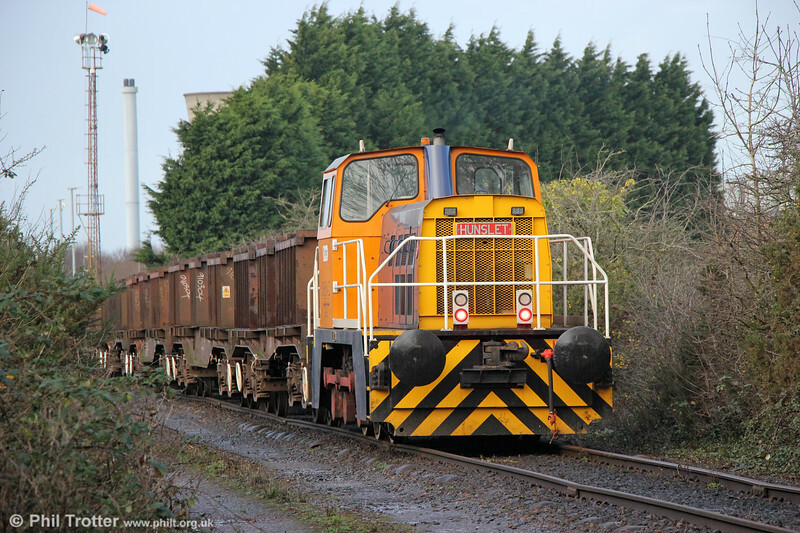 Still carrying GBRf livery, re-engineered Thomas Hill 'Vanguard' 0-6-0DH DH50-2 now works at Trostre Works, Llanelli where it was seen on 31st December 2017. It was built as no. 246V in 1973 for the BP Llandarcy oil refinery (no.8). In 2009 it passed to the Ecclesbourne Valley Railway, Wirksworth and later to LH Group/Hunslet. It now carries a Hunslet worksplate as rebuild no. 9377 of 2011 and previously worked at Celsa, Cardiff.